Sharon Drew Morgen » Happy New Year: what’s in store this year? 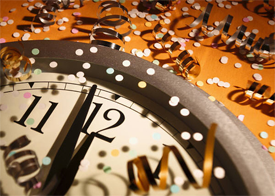 Happy New Year: what’s in store this year? I suspect I’m just as eager for a new decade as anyone: I’ve barely survived through two recessions (Companies don’t want visionaries when there is a down turn – they want meat and potatoes, and predictable, albeit unnecessarily small, returns), and have certainly had days when I didn’t quite understand why I was hanging on. Retirement is definitely an option. But now it’s looking up for me. With my Buying Facilitation™ material finally (finally) getting into mainstream, I’m getting the work and recognition I’ve been longing for for decades. So it looks like I won’t be able to retire quite yet. But is it a certainty that the economy is turning around? What do I actually think about the next years? Frankly, I don’t think this country is out of the woods just yet. There are too many variables that haven’t turned around. The whole world has been going through an economic downturn and I haven’t noticed any really positive changes. As Americans, how can we come out of an international downturn when we are all so interdependent in the world? We owe China gazillions of dollars, but with our new expenditures it doesn’t seem like we’re going to be paying them back any time soon. Many people are out of work; jobs are being reconfigured to be outsourced or mechanized. We aren’t exporting as much as we should be, or investing in our own people. Yet…. yet. I can’t shake the belief in people. Let me begin by sharing my excitement that there are now more women in the workplace than men! I’ve heard several numbers, but it seems that about 53% of the workforce are women (men’s jobs being easier to mechanize or outsource and women’s jobs being people/service-based). So it seems that at least one person in a family may be employed. Speaking of women, I just read of a state in India that gave disaster survivors houses and put them in the name of the women (seems the women are more stable)! As a result the men are drinking less and doing more around the house because they are fearful that their wives will throw them out! In America, we are a land of innovators. We know how to work hard, how to make an honest living. Sure, there will always be those few who make it harder on the rest of us. But there are more of the good guys than the bad. We care about each other and extend a hand to neighbors not doing so well. Indeed, we seem to be coming together – collaborating if you will – in new ways as each of us are in some ways touched by the problems we are all facing. As business folks, I think we’ve got a few years of down, or stagnant, ROI. We’ve got decisions to make: do we use this time to re-invent ourselves, take new risks, write new books, find new partners? Do we hunker down and wait? There are no easy answers. But I trust us. We are a country of Everyman/Everywoman. We are from all over the world, with every sort of opportunity – and we’re smart. I hope that we all will find our answers over the next year….answers for our families, our companies, ourselves. It’s time to change, to grow: the old isn’t working, and we have no idea yet what the new is, so we might as well create it. I trust us. I believe that the best of us will emerge once the skunky stuff is removed. And I’m so proud to be an American, regardless of the success of my company. Happy New Year, everyone. Let’s all have a really New Year.